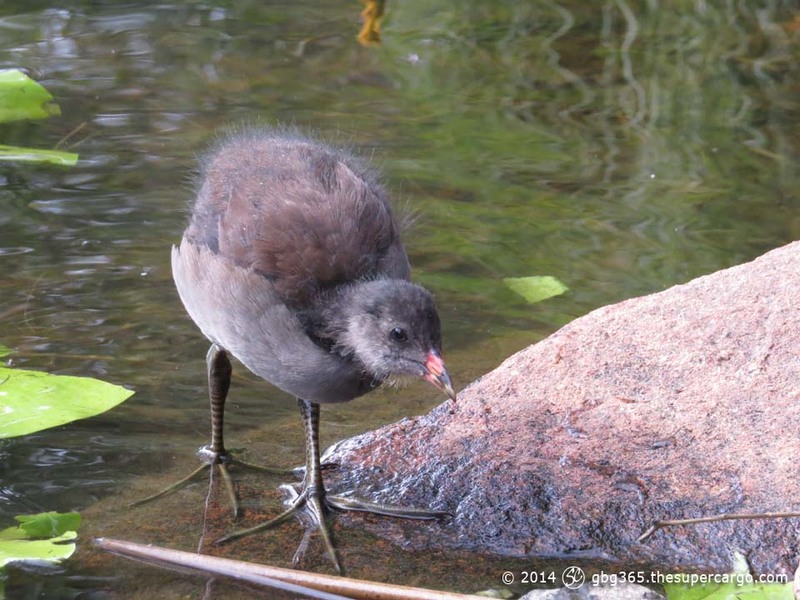 A moorhen chick exploring the shoreline of Slättadam. 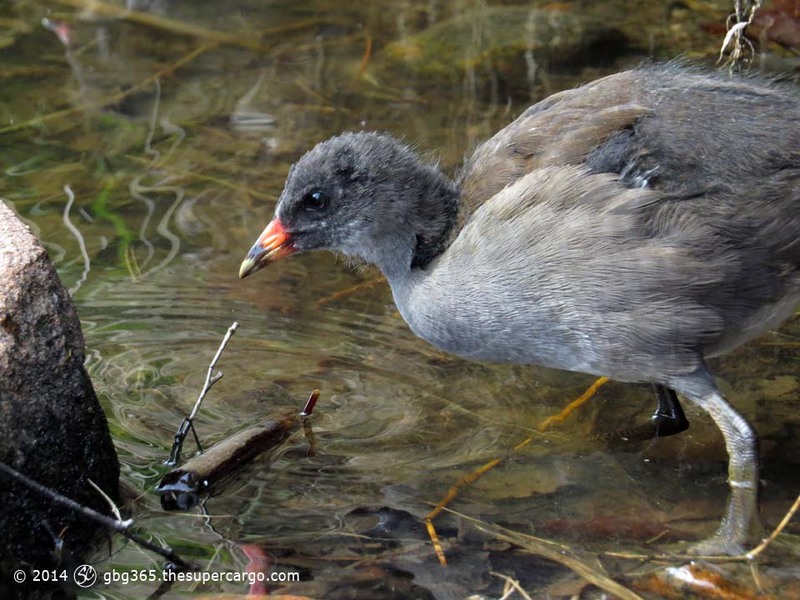 (Common moorhen = Rörhöna – Gallinula chloropus.) I haven’t seen moorhens on Slättadam before, suddenly there’s a mother with a clutch of six chicks – fluffy balls with huge feet. Next PostNext Article Can anyone join this club?